I started and I never quit! I know, I know, I did not give you the expected fortune cookie-ish kind of answer you were expecting and it was not a famous quote from some martial artist that lived long ago. The answer was, and always will be found in the day-to-day effort of doing and working towards something meaningful. The answer is discipline. One of the reasons why I love being a martial arts instructor is I get to see the gradual change that happens in a student when they embrace the two parts of discipline. The first part is the military part of discipline. It is the saying, “Yes Sir!” or “Yes Ma’am!” when asked to do something. It is the bowing when you enter and leave the dojang (studio). It is being willing to follow a protocol of tradition that gives respect and acknowledgment to something greater than ourselves. The second part of discipline is teaching them how to stick with something even when it gets hard and they don’t want to do it anymore. What happened to working hard for what you want and developing a “stick with it even when things get tough” kind of attitude? Where is the discipline? 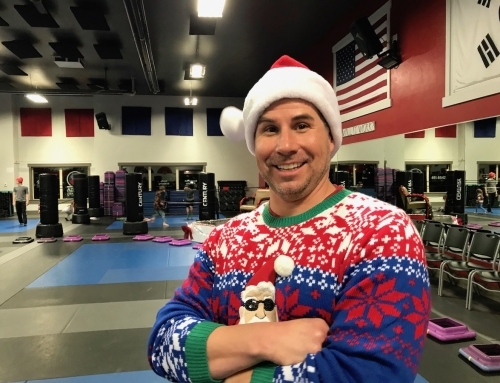 I see too many people come to me and want a black belt, but only want to commit a year or two to the program and then move on to something else. My simple answer to their request is, “Do you have $20?” They generally look at me funny and then I repeat the question, “Do you have $20? 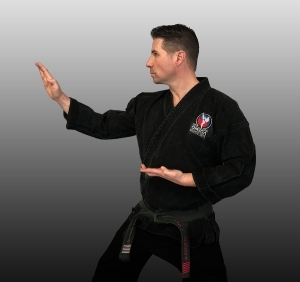 Because with $20 I can order you a black belt and give it to you and you can be on your way.” I then proceed to explain the difference between having a black belt and being a black belt. Having a black belt is immediate and instantly gratifying; being a black belt takes time, dedication, patience, commitment, love, and discipline. I want all who walk through my studio door to learn to love the journey of becoming a black belt and not just have one. 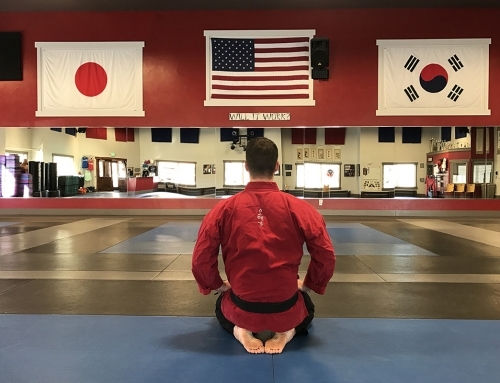 To which they will quickly learn that becoming a black belt generally does not have a destination, but brief stopping points with views of the journey they took to get where they are and views of the journey ahead of them. It is a new beginning of learning. So, what is wrong with doing something hard, that takes time, commitment, and discipline? The answer is rhetorical… there is nothing wrong with it. Then why do we all often shy away from engaging in those kinds of journeys? Let me take the liberty and answer that question for us all. We fear the unknown and we fear failure; therefore, it is easier to just not go down that road. The fear that we accumulate in our heads sometimes becomes so great that it paralyzes any effort or good intention we had to go down a road of discovery and growth. So, there we sit. Not progressing and not moving forward. Does this sound familiar to anyone? The only regrets I have in my life are the regrets of not trying something, to shy away from that which requires discipline. Many people ask if you could do it all over again in life, what would you do different? As I think about that question, the only things I would want to do over again is to get a second chance to do the things I never did in the first place. I do not regret my mistakes in life because at least I tried and I learned and I progressed. But the pain of regret still haunts me when I think about the things I should have done, but never did. There is going to be pain in developing discipline towards living an abundant life, but it is far better than the pain of looking back and always wondering “what if?”. There is a poem that I love. It is sort of a riddle and the answer is at the end. Are you in the habit of shying away from things that are hard and that require discipline and commitment? Or, are you in the habit of facing those challenges head on, being willing to make mistakes, and simply going for it? What glorious opportunities have you missed out on by simply staying put and not jumping into the adventure? Whether it be becoming a black belt, going to school, traveling to that place you always wanted to, getting married, having kids, seeking after a career… whatever it is…GO FOR IT! Don’t live your life from the side lines. Be disciplined in your daily efforts towards greatness. Be patient with your incremental successes. Get started and never quit! I am Kwanjangnim (head instructor) and owner of Omega Martial Arts in Springville, which began in 2003. 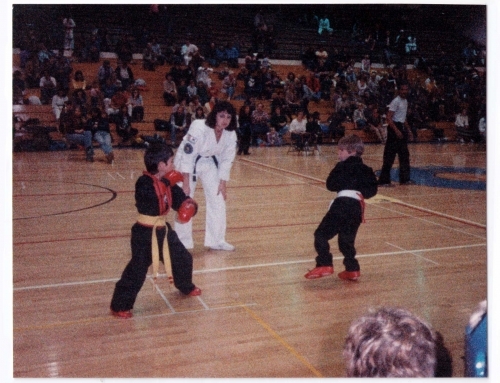 I been studying and practicing the art and way of martial arts since I was 7. Needless to say, I have garnered a lifetime of knowledge and learning to pass on to my students, my family, my love. Wonderful article Sir! Reminds me of the tenets I learned from K Jenny that have given me success in my life to this day. Awesome blog. Please subscribe me. Thanks Kwanjangnim. I am just now reading this and understanding your words at a different level as I discipline myself more in many areas of my life!